In this segment we are going to install "MacOSX Sierra on VirtualBox"
1. Firstly, download all the required files from the right side of the screen. 2. You need to use FDM or any other download tool because the image size is almost 5 GB. 3. Once the image successfully downloaded you need to extract the image using 7z Image Extracting Tool. 4. Now, we can start the process of installing MacOSX on VirtualBox. Now, Install and open the VirtualBox. So, it will look like this on first go. 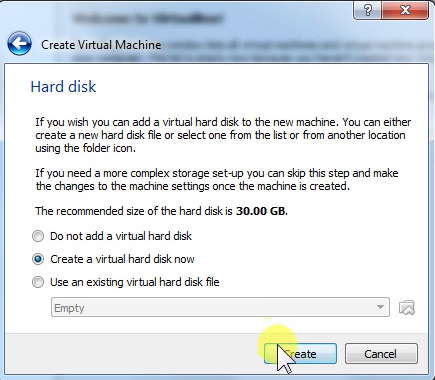 Then, you need to click on New to create a new Virtual Machine. 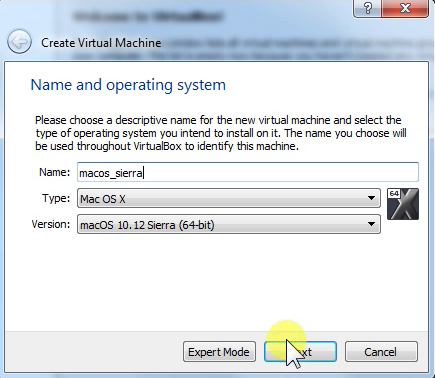 Enter the name of your VM and select the type as MAC OS X. Now, select the RAM as per Apple minimum of 2 GB ram is sufficient to run Mac OS. But i would recommend you to go with at least 4 GB. 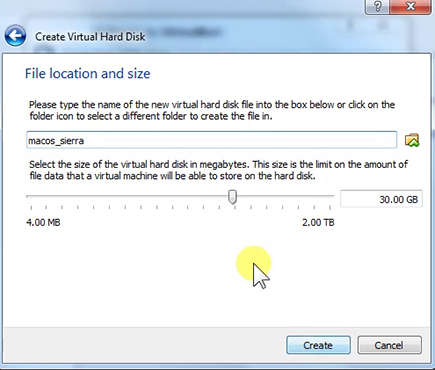 Select, Create a Virtual Hard Disk now. 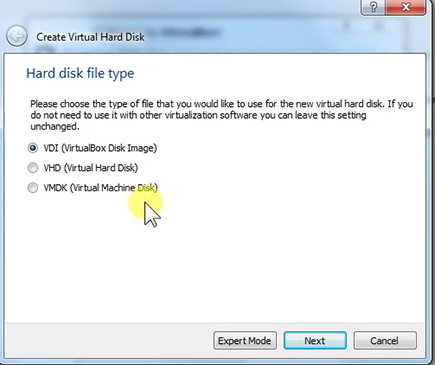 Select, Hard Disk file type as VDI (VirtualBox Disk Image). 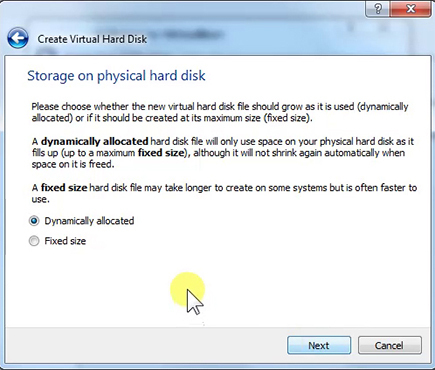 Select, Dynamically Allocated for Storage on physical Hard Disk. Select, File location and Size according to your choice. After that click Create to finish the process. 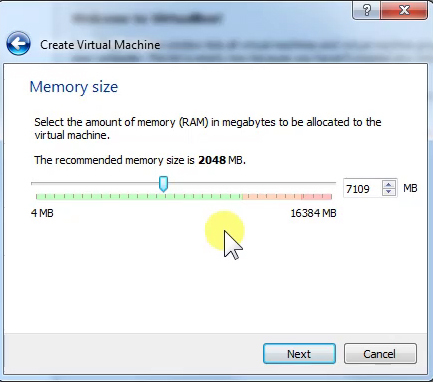 Now, we need to edit settings of our virtual machine. 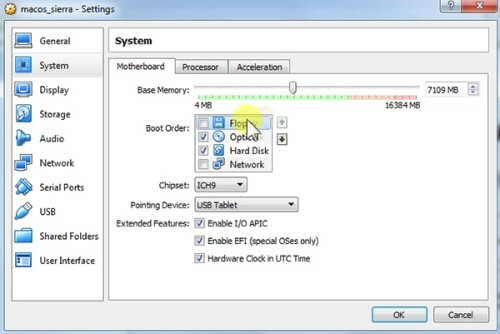 Click on settings to open the settings console. Navigate to System-->Motherboard and unchecked Floppy. 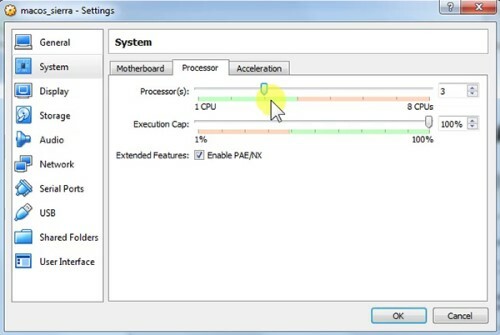 Navigate to System-->Processor provide maximum number of processor as your system can allowed. In my case i used 3 processor. 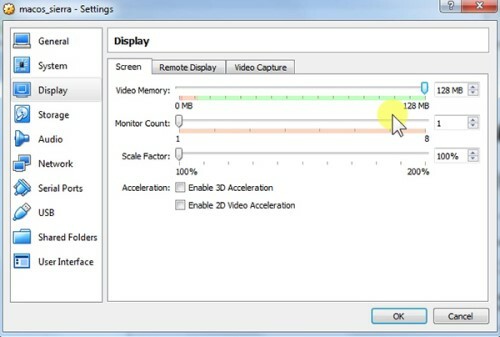 Navigate to Display-->Screen and set Video Memory to 128 MB. Navigate to Storage and select MacOSX image. 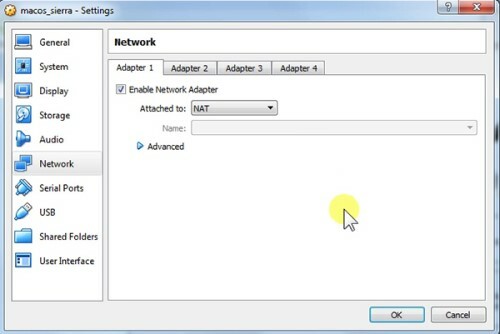 Navigate to Network-->Adapter and select NAT. 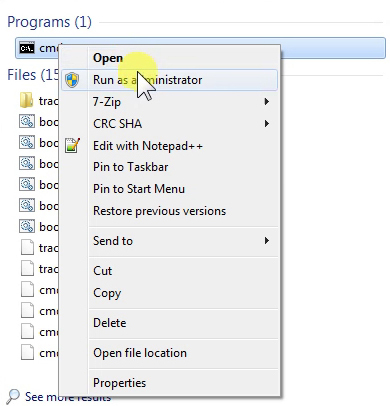 Open CMD as Run as Administrator. Then navigate to the following location. After that copy these lines one by one and paste in CMD. 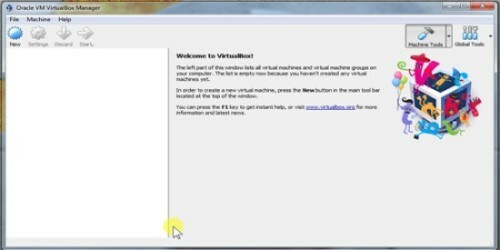 Add your virtual machine name in place of Your VM Name. Now, once we start the virtual machine MacOS installation will begin. You will see the apple logo and a progress bar moving on the screen. You need to follow the instructions shown on the screen. After that setup will take us to this page where we need to select the installation disk. Since, we don't have any disk shown here. We need to create a disk here from Disk Utility. 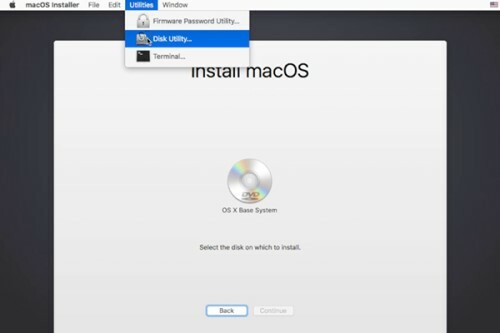 Now, we need to navigate Utilities--> Disk Utility. 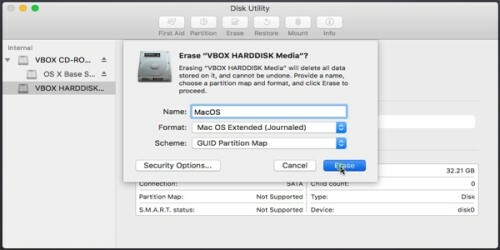 After that we need to select our VBOX HARDDISK and Erase it. So, it can be detected by our Mac Installer. 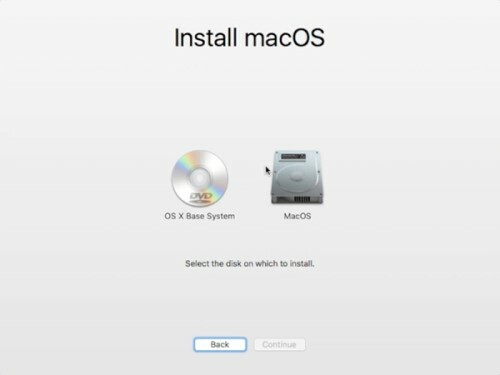 Once this setup finish you will able to find a new disk in installer. Then we need to select the disk and click Continue to finish the setup. 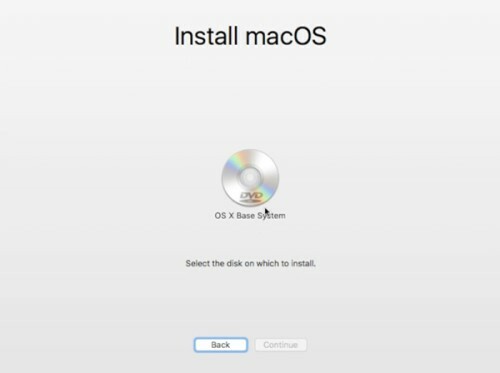 It will take around 16 minute to install the operating system. 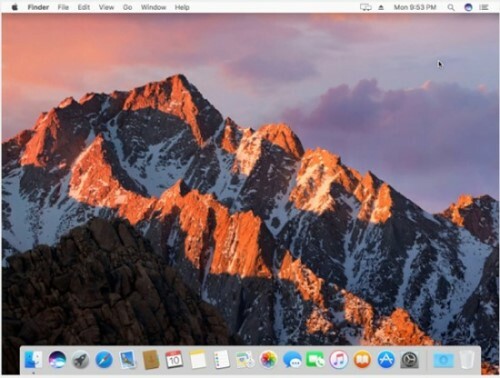 Now, the MacOSX Sierra is ready to use. 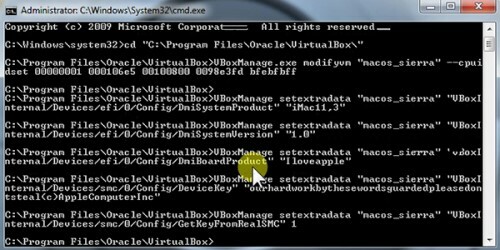 Now you are all set to use Mac on VirtualBox. Start using it and share your experience in the comment section. Restart the Mac and start using it. Terrific analysis, Your instructions were very clear and presentation easy to follow.